Track 12 encoded at 256 kbps. 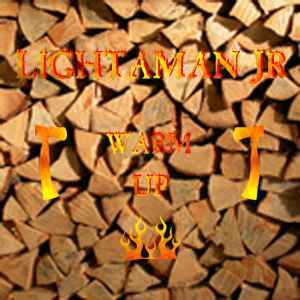 This first Lightaman JR release is one for which I have lots of nostalgic feelings, even though it is only 4 years old. Since it is a free release it is worth downloading even for one song, and in this case that song would be Hurdy Gurdy, a song I've used in nearly every set I played since it came online, a song that sets alight every dancefloor every time, a song that still gives me goosebumps when I hear its main lead come in at 2:10 into the song. But there are other songs on this release that are certainly very worthy as well, a lot of dj material, with as standouts, for me, Hurdy Gurdy and Air Scooter (which is very slow, but if you pitch it up to normal spugedelic speeds it is a real stormer), and as second liners 01-05-06-08-12. If you like spugedelic, this is a must. If you just want the best examples of spugedelic, this is worth it because it is free but it isn't in the league of the very best releases in the genre (although it does come very close). One of the best ever Antiscarp releases.